A former Special Assistant to ex-President Goodluck Jonathan, Dr. Waripamo-Owei Dudafa, yesterday said he was not aware that former First Lady Dame Patience was a one-time permanent secretary in Bayelsa State. He was testifying during hearing in Mrs. Jonathan’s suit before Justice Mohammed Idris of the Federal High Court in Lagos seeking to unfreeze her accounts with $15.5million. Counsel for the EFCC, Mr. Rotimi Oyedepo asked Dudafa during cross-examination to confirm that Mrs. Jonathan was appointed as a Permanent Secretary in Bayelsa State on June 22, 2012. 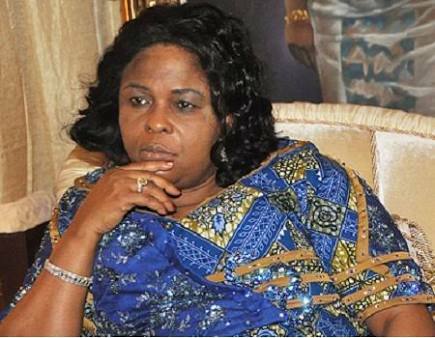 EFCC then showed Dudafa Mrs. Jonathan’s letters of appointment and confirmation, and asked him to identify them. Oyedepo and Dudafa engaged in a long game of hide and seek when the EFCC counsel asked if the witness deposed to his affidavit “on behalf of the plaintiff”. Oyedepo repeated the same questions for over five times and the witness kept giving the same responses. The EFCC lawyer urged Justice Idris to warn the witness to mind his language as he could not claim to be “cajoled” under cross-examination. 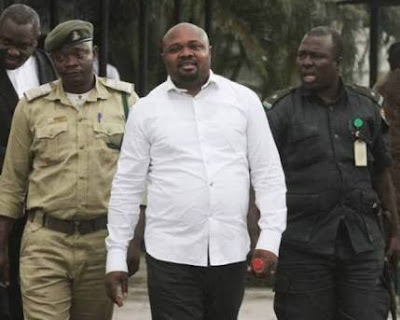 After Mrs. Jonathan’s lawyer Chief Ifedayo Adedipe (SAN) apologised on Dudafa’s behalf, the witness was shown a written statement on oath in which he stated that he deposed it on the plaintiff’s behalf. Defence counsel Chief Adedipe, Chief Mike Ozekhome and Ige Asemudara had earlier raised objections on whether Oyedepo could ask Dudafa to identify the letters since he had stated that he did not know about Mrs. Jonathan’s appointment. Ozekhome, who represents two companies sued by Mrs. Jonathan, said even though his clients were defendants just like EFCC, “our interests are like heaven and earth”. He added that Oyedepo “was not just surrounded by sharks, but by crocodiles”. Asemudara said being co-defendants does not mean they could not align with the plaintiff. Oyedepo said the letters were public documents and could be tendered through any witness or even from the Bar. Justice Idris held that the witness could be cross-examined on the letters. The Nation reports that the judge cut short the hearing after announcing that he was summoned to a meeting by the Corruption and Financial Crime Cases Trial Monitoring Committee (COTRIMCO) set up by the Chief Justice of Nigeria (CJN) Justice Walter Onnoghen. Further hearing continues on Tuesday.